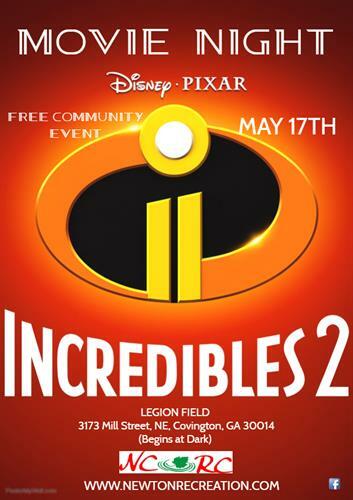 Come out and enjoy a nice relaxing family night and watch Incredibles 2. There will be Hot Dogs, Kona Ice, and face painting. Bring your blankets, chairs and come relax. We will also have Newton County Fire department there with the fire prevention truck. Entry starts at 6:00pm and movie will start at dark. Movie will start at dark.